Earlier this month TripAdvisor announced the results from their newest pet travel survey where over 1,100 U.S. respondents answered questions about their travel habits with their pets. Only 44% plan to travel with their pets in the coming year. That seems low to us since we travel several times each month! The press release also included the top 10 pet-friendly properties in America, according to TripAdvisor travelers. None of our faves made the list. And most of their choices were budget busters to us! But we will still try to visit a few of them in the coming year . . . The Sunglow Ranch is calling our names! 1. Beachside Village Resort, Lauderdale by the Sea, Florida – Average Nightly Rate: $205+ Pet owners visiting Florida’s East Coast can enjoy a relaxing stay with their pooch in one of the premier hotel rooms, studios, or suites at this seaside property. Dedicated pet walkers are available upon request for pups in need of a promenade. “The pool area is great and you are right across the street from the beach. 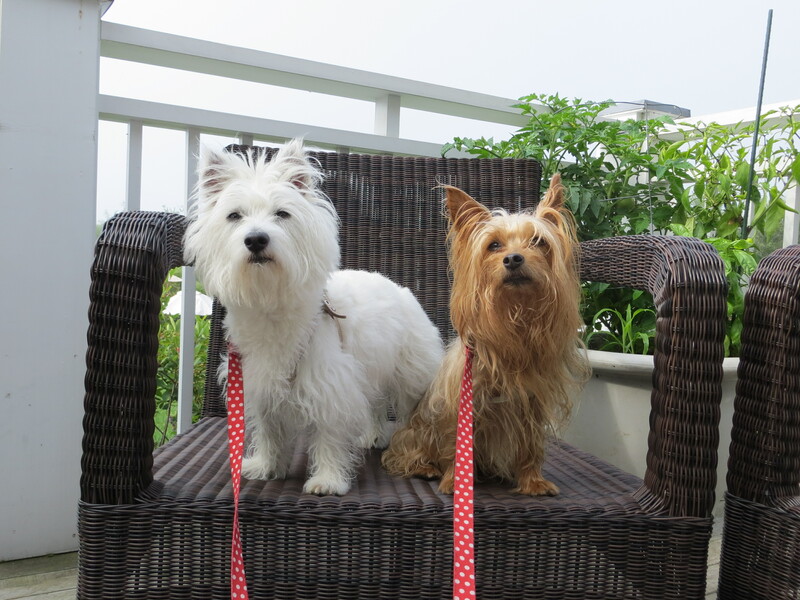 Best of all: It’s small-dog friendly,” commented a TripAdvisor traveler. The hotel welcomes pets weighing 35 pounds or less, and there is a fee of $25 per night for pets. Located in Sonoma County, travelers can enjoy the unique amenities at this small boutique hotel. Pets are welcome in the Hillside Queen Rooms and dogs will even receive a special welcome basket which includes treats, bowls and towels. A TripAdvisor traveler noted, “The inn keeper personally showed us to our room where we were welcomed with a cute little gift basket of treats for both us and our pup.” There is a fee of $25 per night for pets. Traveling pet owners visiting Napa Valley are invited to stay at this sustainable hotel that boasts organic cotton bed linens and hand-crafted bath products. Pooches will be given plush dog beds and bowls to enjoy their supper. A TripAdvisor traveler said, “If you are looking for a small, upscale resort that pampers you (and your pet) do not miss the opportunity to stay here.” There is a one-time fee of $150 for pets. Located in one of Santa Fe’s most historic neighborhoods, this former adobe building is now a spectacular hotel adorned with exotic antiques, rugs, textiles and architectural elements. Guests traveling with pets 50 pounds or less are welcome to stay in one of five perfectly appointed rooms. A TripAdvisor traveler noted, “Waiting in the suite were treats and stuffed animals for the animals!” There is a fee of $75 per night for pets. Travelers can hunker down in one of three pet-friendly cabins that provide plush beds, soaking tubs and private balconies, while nearby hiking trails offer plenty of outdoor fun for four-legged friends. A TripAdvisor traveler said, “The pet-friendly cabins are at the edge of the property, just steps away from the bordering forest, so very easy to take them out for walks.” There is a fee of $25 per night for pets. Luxury awaits man and his best friend at this Mediterranean estate. Travelers can relax in the pristine guestrooms where four-legged friends will find their own amenities including beds, bowls and toys. A TripAdvisor traveler commented, “We had our dog, and the grounds are very green and lush and it was a perfect place to let him roam outside.” The hotel welcomes pets weighing 25 pounds or less, with a one-time $100 fee. Situated on 475 acres, pets will have plenty of space to play at this western-style ranch. Traveling pet owners can enjoy a leisurely stroll on the property’s three-mile trail and later unwind in the “Hummingbird” and “Coyote” casitas that welcome pets weighing 25 pounds or less. “It was a pleasure to stay in a place where the accommodations are incredibly beautiful and still dog-friendly,” said a TripAdvisor traveler. There is a fee of $25 per night for pets. Located in Willamette Valley, those with wagging tails in tow can relax in this luxurious hotel. Animals are welcome in terrace-level rooms where pooches will be pampered with tasty treats and kibble. 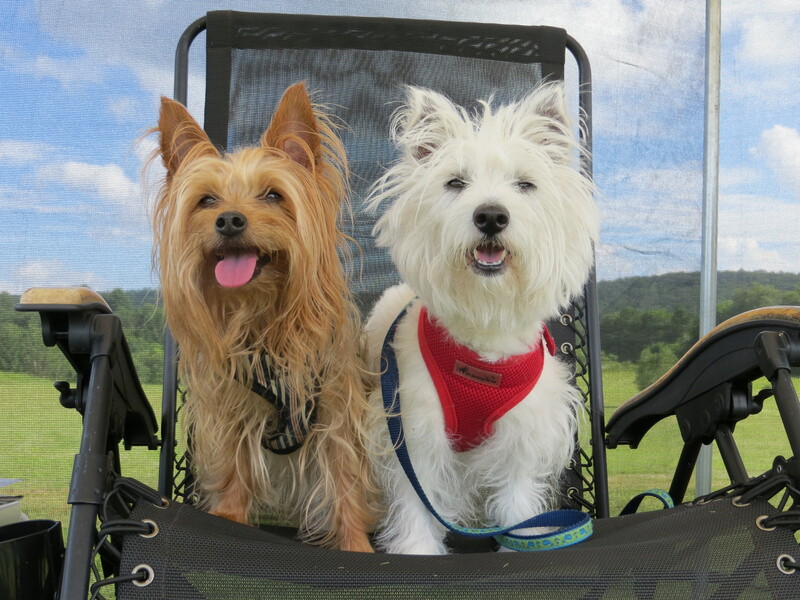 One TripAdvisor traveler said, “Brought the dogs and went wine tasting. The staff took care of all dinner bookings, the dogs had wonderful stew, free room service and the spa was great.” There is a one-time fee of $50 for pets. Nestled in a tranquil island oasis on the Gulf Coast, animal lovers can enjoy the company of their furry friends at this property. Up to two well-behaved pets are invited to accompany travelers to this adult-only retreat. One TripAdvisor traveler commented, “The rooms have a back door that goes directly out to a grassy area with a gorgeous, unobstructed view, so while your dog sniffs around, you can soak up the sights.” There is a fee of $10 per night for pets. This boutique hotel strives to provide a memorable stay for travelers and pets alike. Included in the animal-friendly amenities are a bed, travel-size dog bowls, pet salve, organic dog treats, and a map of nearby parks and trails. “One of the best and pet-friendly,” noted a TripAdvisor traveler. There is a one-time fee of $55 for the pet package.